On November 11th, Perris Auto Speedway is hosting the first ever Yamaha R1 DT Invitational race. It will be the first time these cars have competed in competition. The Prototype Yamaha Dirt Track Racer was created for market research purposes. It’s a turnkey race car concept that uses a 998cc high output powerplant. The R1 engine is fixed to the lightweight and compact chassis. The invitational will feature more than just dirt racing drivers. Various drivers will be represented from sprint car, late model, flat track, drifting and motorcycle racing. The race will take place during the final night of the USAC Budweiser Oval Nationals. That weekend doubles as the final night of the season for the speedway. Perris Auto Speedway is a 1/2-mile clay oval. The dirt track is located in Perris, California where November racing doesn’t require an igloo. November is just fine for racing in the state of California. “It will be the first time I’m coming out of retirement in 4 years. The Million-Dollar man’s back at it,” Donnie Moran says will a smile. “Dirt race, I’m really excited,” stated ARCA driver Natalie Decker. Decker recently announced she will be competing full time in the ARCA Racing Series in 2018. She becomes the 5th female in the history of the ARCA Racing Series to compete for a championship. Kenshiro Gushi is a drifter from the state of California. He will race on dirt for the first time. 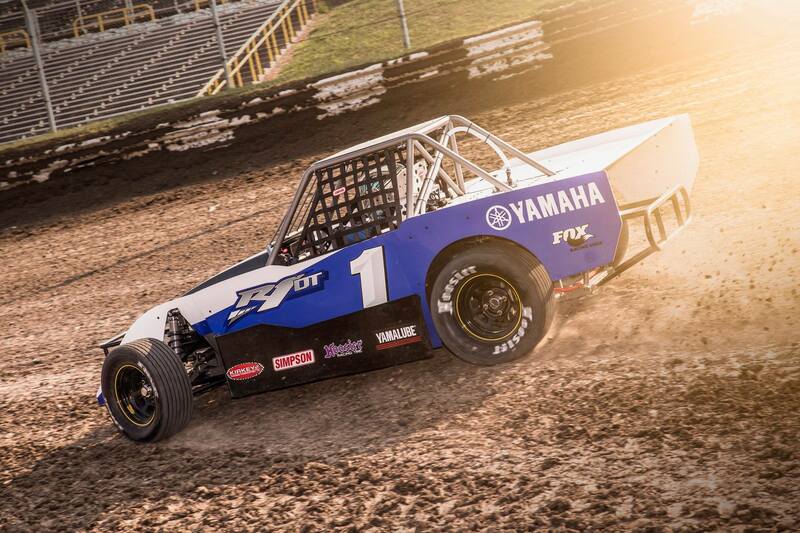 “For the first time ever in my career I get the chance to drive this Yamaha R1 DT on a dirt track oval. I don’t know what to expect but it was so much fun. So, come check it out,” Gushi stated following a testing session with the new machine. The car made it’s debut back in 2016. However, given it’s a prototype, it has changed slightly since it’s debut. 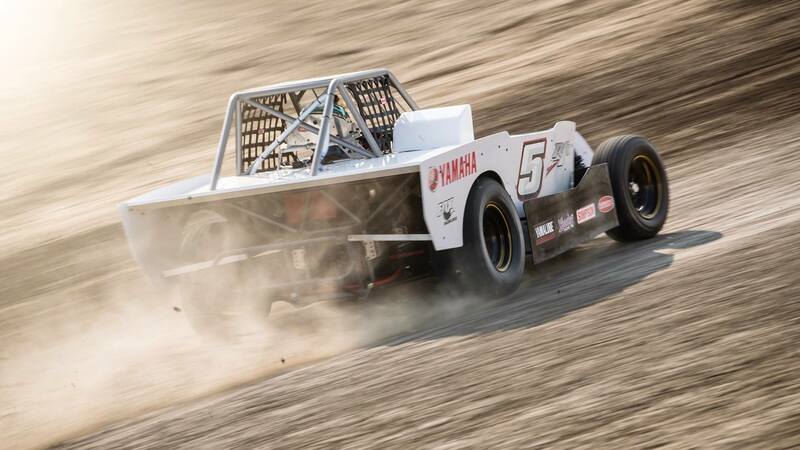 The race at Perris is the first time these cars will compete in official competition.